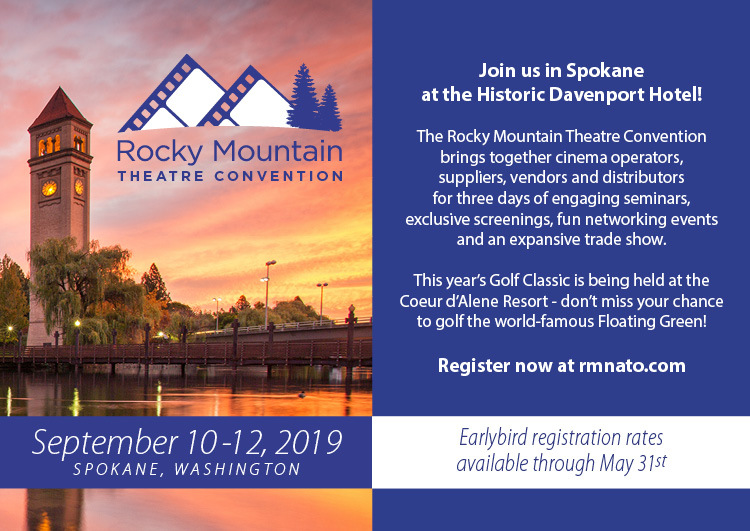 Registration for the 2019 Rocky Mountain NATO Theatre Convention is open! VENDORS (Product Reps & Companions) : Click here to register! EXHIBITORS (Theatre Owners & Employees) : Click here to register! FILM STUDIOS : Click here to register!